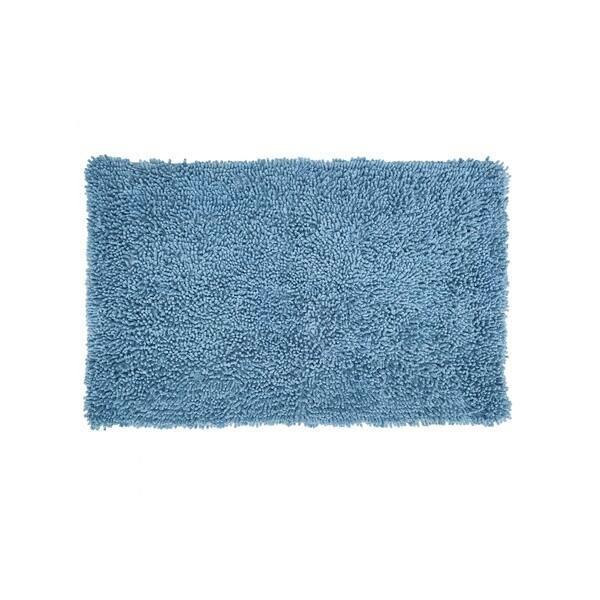 Upgrade your bathroom's look with this shaggy Fantasia bath rug. This is a hand tufted rug which is crafted using pure cotton that increases its softness, durability, and absorbency. It keeps your feet and floor dry after a shower. You need not worry about slipping off this rug as it comes with a spray Latex backing which lets it stay in the place. Place this rug in front of your bathtub and step onto it fearlessly. You'll also love it for its easy maintenance as you can wash it in your washing machine and use it for longer. Style up your bathroom by choosing from a variety of sizes and colours. Dimensions 34.0 In. X 21.0 In. X 1.0 In. The color and size is what I was looking for .